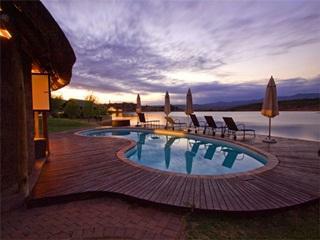 ﻿ Buffelsdrift Game Lodge and Hotel Oudtshoorn. JIMAT di Agoda.com! 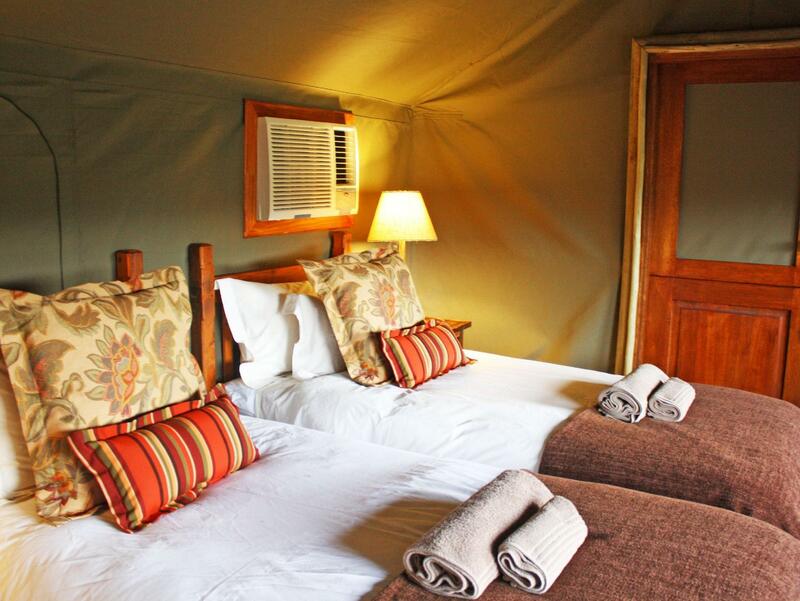 Ada soalan mengenai Buffelsdrift Game Lodge and Hotel? Direka untuk kedua-dua tujuan perniagaan dan percutian, Buffelsdrift Game Lodge and Hotel terletak di lokasi strategik di Oudtshoorn; salah satu kawasan yang paling popular di bandar tersebut. Hanya 6 Km dari pusat bandar, lokasi strategik hotel memastikan tetamu boleh ke mana-mana sahaja dengan cepat dan mudah ke tempat-tempat tarikan. Bagi anda yang ingin pergi agak jauh, Ladang Hidupan Liar Cango, Bella-Mia Pottery, The Cango Caves merupakan beberapa daya tarikan untuk pelawat. 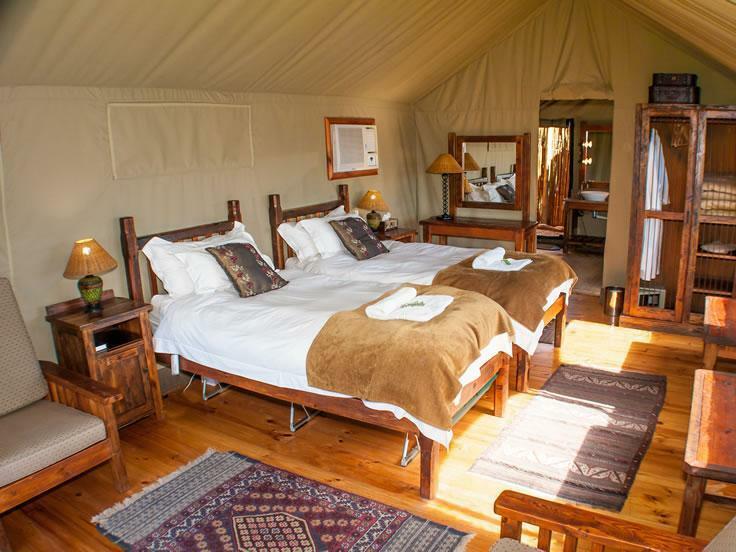 Buffelsdrift Game Lodge and Hotel juga menawarkan banyak kemudahan untuk memperkayakan penginapan anda di Oudtshoorn. Tetamu hotel boleh menikmati kemudahan seperti gereja kecil, pengemasan harian, mesra kerusi roda, fasiliti tetamu kurang upaya, Wi-Fi di tempat awam. Tetamu boleh memilih dari 29 bilik, semuanya yang akan memberikan suasana ketenangan dan keharmonian. Sepanjang hari anda boleh menikmati suasana yang santai dengan kolam renang terbuka, spa, rumah urut, taman. Temui gabungan yang menarik antara perkhidmatan profesional dan pelbagai kemudahan yang ada di Buffelsdrift Game Lodge and Hotel. It is nice for a short visit to overseas travellers not having done wild life safaris before.For seasoned safari travellers it is not a real wild life experience. 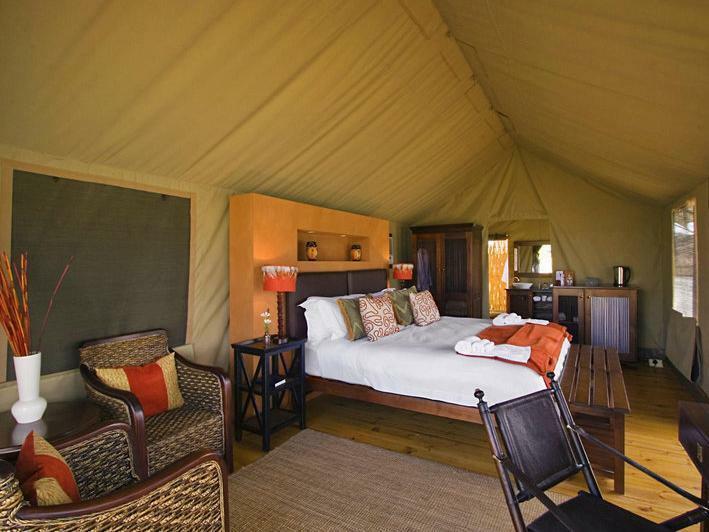 we booked yhe waterfront tent, its big, the bed is huge and perfect, the sunsets on the balcony just amazing. the only thing missing was a heater for the bathroom. other than that every thing was perfect. the restuarant is very good, we ate the best beef stake we had the whole trip. the staff were very nice and helpfull. recomended!!!! The elephant experience is amazing!!!!!! Highlight of our 3 week trip. Also, the meerkat safari was WONDERFUL. Lovely place, great folks. Restaurant was good, also excellent options in town (Black Swan was awesome) that provide hotel pickup. I was very disappointed upon checking in because they made a mistake on the registration form for my nationality, not China but Taiwan. I had to cross it out and rewrote it again. So I was terribly displeased about that. It is rated as a four start accommodation. How could they make such a mistake? Secondly, the dishes provided at the restaurant was horrible. Both my husband and I ordered ostrich steak. When the steak was served, the cuts were uneven and it was raw (we asked for medium). My husband paid extra for mushroom sauce, and it looked like mushroom soup. I had potato wadges as side dish but they were soggy since they were placed on the same plate with the steak and stir-fried veggies, and they were soaked with the sauce/oil from the stir-fried. Thirdly, the staff in the restaurant should take a carefully look at the glasses that are used. Some of the glasses have cracks on them as well as on the brim. Visitors might get hurt from drinking with the glasses. Our stay was decent but was ruined by the owner at check out. The place is basically a zoo (the “main attractions”, lions and elephants, are kept in separate enclosures from all other animals and you need to pay extra to see them - both experiences are extremely short and not worth the money. The lions seem to be starving so they come ready to eat when the feeding experience comes around) but was great for showing our 2 and 3 year olds animals in the “wild”. I would not recommend if you’re looking for a proper safari experience. We had an issue with noise from other drunken guests around 11pm on our last night. We called reception (the number we were told to call when we checked in) but there was no answer which was extremely frightening given we were extremely isolated. We spoke to the owner at check out to let him know what happened and instead of apologising he was rude, defensive and aggressive and told us we called the wrong number. Pathetic treatment of a paying guest. We got a great deal on agoda and had a lovely 3 night stay. The kids (2 and 4) loved the elephants it was worth every cent. I was disappointed as there was a mistake with our booking. The booking was only for one person. So for my wife I had to pay an extra very high fee for her to share the same room and breakfast. I think this is a very underhand tactic. The ostrich fillet we had for dinner was superb, but the breakfast was very poor on choice and quality. Better to have done a la carte than provide such a poor spread. The meerkat tour in the morning was excellent. However the only game that can be seen from the hotel are 3 hippo's in the dam. Tour to see the animals. The Cabins were well appointed, but here is a warning, for those unlucky to be placed at Cabin 9 or near there, do not expect to get any sleep. The Lodge has a very large light that shines over the "dam" or lake, which ensures the birds remain active all night. The sound of 100 pairs of geese sqwarking and honking all night was dreadful. My husband and I took turns at getting up at night to flap pour arms to shoo them away. We stayed two nights, one would have been sufficient. We also found their checking out procedure was dire, the woman at the desk lacked experience and certainly couldn't multi task, so the procedure took 30 mins and then a manager had to be called as she failed to understand we had already paid via Agoda. While the food was fine it was no where as good as other locations we had stayed in. Glorious experience. Comfortable, peaceful, staff is hospitality centric! Unique accommodations . Amazing food. Hippos! Having been to the western cape many times my friend and I wanted to do something different. This was it! Completely relaxing unique accommodations , hippos, elephants, and elk at your doorstep. An avid foodie, our ostrich steak was the best I have ever had! Melt In Your mouth! The staff was fun and attentive. Even though we were the only ones there overnight we had a complete range of services. Truly an awesome experience ! (Minus the Egyptian geese...apparently they don't sleep. Ever....). I would return with my husband in a heartbeat. Wenn man mit kleineren Kindern eine Safari im Westkap machen will, dann ist diese Lodge eine gute Wahl. Die Zeltes sind sehr schön, das Essen war sehr lecker und für Kinder sind die Tiere spannend. Eine Safari auf Krüger Nationalpark Niveau sollte man freilich nicht erwarten. Komfortable Lodge,Zelte super schön eingerichtet mit Dusche im Freien.Ausgezeichneter Service,guter Game Drive mit nicht ganz so vielen Tieren aber schön. Man sollte sich einen Aufenthalt in dieser Lodge nicht entgehen lassen. Die ganze Anlage ist einmalig gestaltet. Es war fast alles prima. Lediglich die Abholung unseres Gepäcks in unserem Zelt wurde vergessen und wir mussten die Koffer quer durch die Anlage schleppen. Het was onze eerste maal dat wij in een tent sliepen, de inrichting van de tent en de ligging was perfect, een prachtig uitzicht op het meer en op loop afstand van de facaliteiten. Het eten was goed, de gamedrive was heel leuk en de hele ervaring was perfect. Leuke locatie. Alleen de meerkat safari was erg duur. Massage was erg goed.